This weekend was fantastic. In addtion to lovely weather, we also treated ourselves to some "homemade" dessert. 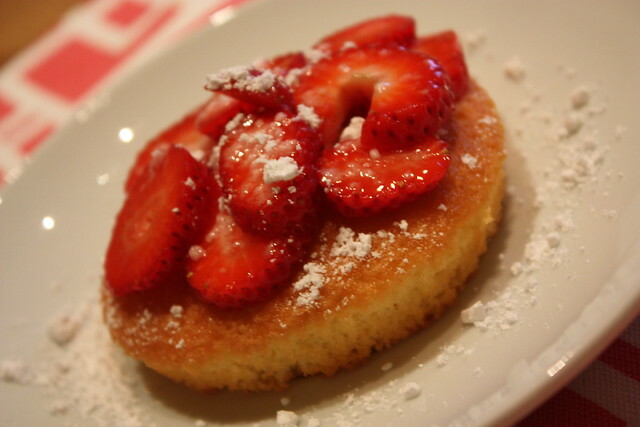 It's amazing what an individually-sized tort, sliced strawberries and powdered sugar can do when combined. 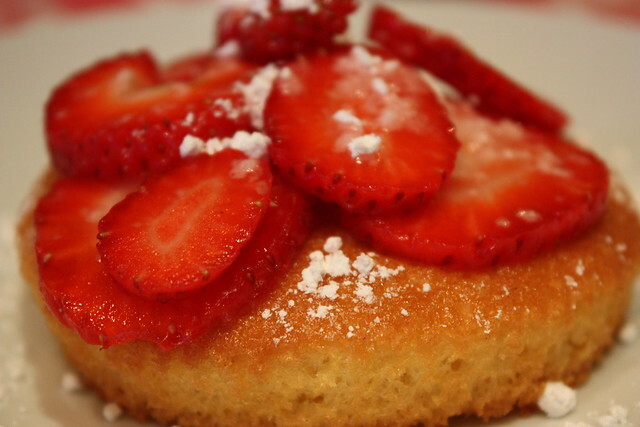 A delicious and restaurant-worthy dessert!